This dog loving new title from National Geographic Kids was not one I could review alone. Fortunately, I had my canine companion, Tatum, nearby to give me a hand. She was more interested in sniffing the pages than reading, but I persevered. Tatum’s comprehension is a bit slow at times, but finally declared she was ready to try out the 22 activities. CHAPTER 1 SNIFFING OUT SENSES—How do dogs smell, feel, look, taste, and hear the world around them? We especially enjoyed the experiment on how dogs see color and finding Tatum’s favorite smell (A tie between mint mouthwash and Teriyaki sauce). CHAPTER 2 FIT SCIENCE—The Science Behind Your Healthy Hound— Dogs are made to move, and there are many similarities and differences with their owners. Not only with the way they walk but in how they breathe. I discovered my pup has an unusual walk known as pacing. CHAPTER 3 CLEVER CANINES—Inside the Minds of Dogs—Just what is your dog thinking when they look at you with those inquiring eyes? Find out how fast your dog learns and whether they are left or right pawed. Also discover whether your dog sees themselves in the mirror. Great stuff! CHAPTER 4 PAMPERED POOCHES—Using Science to Care for your Canine— Keep your dog’s skin and hair healthy with a variety of activities. Did you know dogs have unique nose prints? At the end of each colorful chapter is an In The Lab feature where you learn about doggy MRI’s, dog’s donating blood, their pee attraction. and the way scientists are studying to help dogs to stop itching. Fun, informative, and a book no dog lover should be without! My canine reviewer seems to agree, exhausted after our morning together interacting with DOG SCIENCE UNLEASHED. 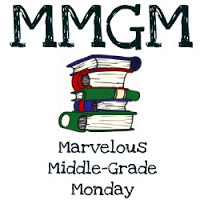 Coming up next week is another MARVELOUS MIDDLE GRADE MONDAY. Thank you so much for being a part of this awesome tradition begun by Shannon Messenger and for spreading the middle grade love! This entry was posted in Middle Grade Book Reviews, non fiction and tagged Dog Science Unleashed, Jodi Wheeler-Toppen, Middle Grade Book Reviews, Middle Grade Non-Fiction, National Geographic Kids. Bookmark the permalink. This looks like so much fun. NatGeo books for kids are so great and this looks like another winner. Thanks for the review. This book will be a treasure for youth and adults. Love it! Great review!